The historic grade II* listed organ at St John's church in Notting Hill, London, has been fully repaired and restored. It was removed from its previous location in the Lady Chapel, then transported down to Devon where a dedicated group of organ builders completely overhauled and restored the historical working parts of the organ, including the organ’s historically-significant Barker Lever Action. A new case has been created in 21st century style for its new location in the North Transept of the church. This case has glass panels installed on the sides which, combined with the LEDs that have been installed around the organ, enable visitors to see inside at the mechanisms and pipes. A new eagle (the symbol of St John the Evangelist) has been designed and constructed for the front of the case. The restoration work began in Easter 2012, finishing in January 2014. This was made possible through the many generous donations received by the Restoring the Future Campaign, including from the Heritage Lottery Fund (HLF) which awarded the campaign £373,500 in March 2012. We are grateful to the HLF and to all who have contributed to the project. You can read about the organ and restoration by clicking here. Many activities were organised around the restoration, funded by the Heritage Lottery Fund. 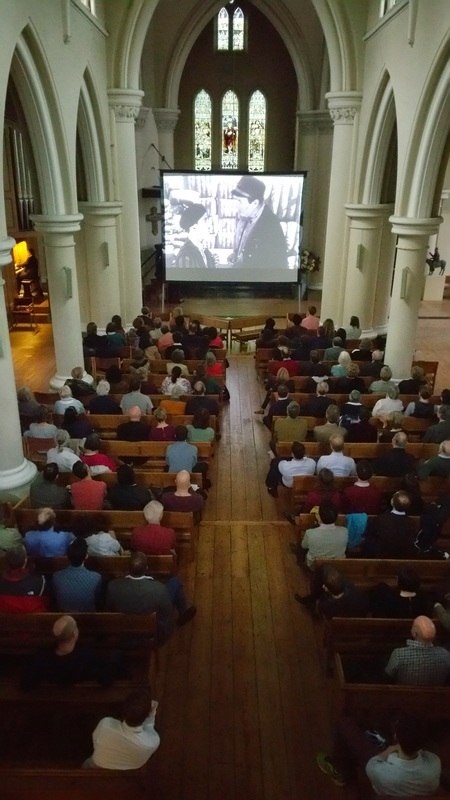 All activities funded by the project have now finished however the staff and volunteers of St John's Notting Hill, along with outside groups, continue to organise events with the organ. See this website or www.stjohnsnottinghill.com for more info. During the project 1,065 school children visited from 14 local schools to take part in various organ workshops. Click here for more info. Two permanent exhibitions detailing the history and function of the organ, the history of the church and the development of Notting Hill and the wider London area have been created and installed around the restored and relocated organ. Click here for more info. Many varied concerts and events were organised with several sell-out shows. Click here for more info. The Video College created a film of the restoration with 19 young people. Click here for more info. A high-quality recording has been made of a newly composed piece of choral and organ music written specifically for the organ called 'If I Have Freedom' - taken from words attributed to William Wilberforce. Listen to it here. Hundreds of volunteers assisted in the many elements of the project including in organising events, researching for the history exhibitions, organising the tea dances and much more. Lots of photos can be viewed here. The Activities Manager was Jamie Singleton. Click ﻿here ﻿for photos from various events, activities and school visits.